* Full duplex mode is supported by the hardware, but is not yet implemented in the software. 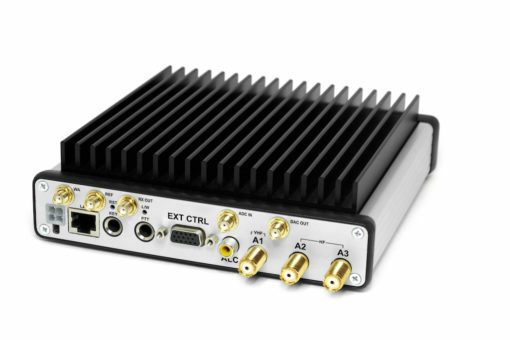 Full duplex is a planned feature in a future release of ExpertSDR2. 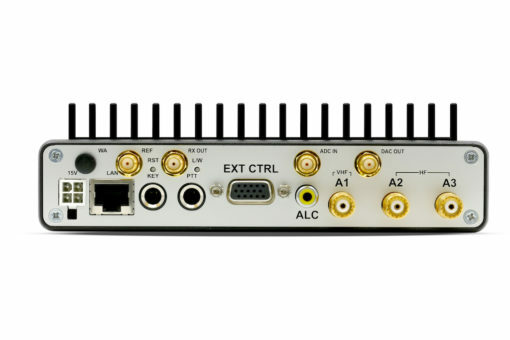 ** ALC functionality is supported by the transceiver’s hardware but is not implemented in the ExpertSDR2 software. 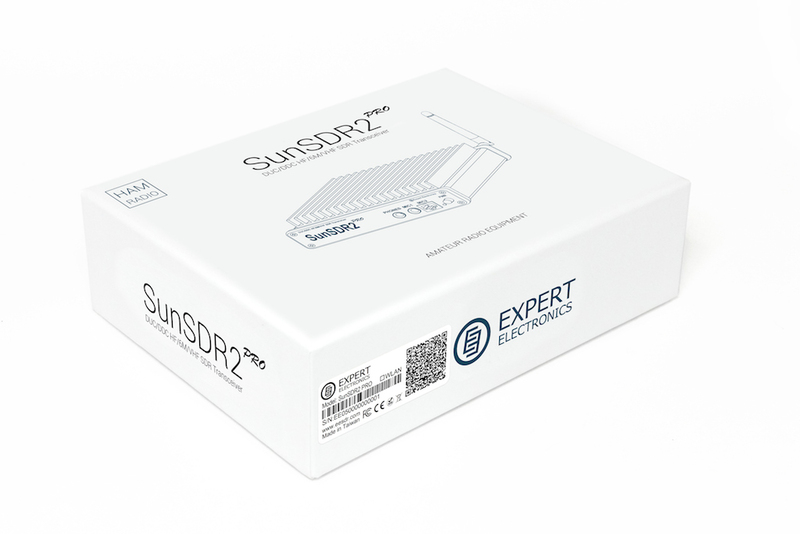 It will be supported in the future ExpertSDR2 software releases. I have been licensed since 1968 but only returned to Amateur Radio 5 years ago after many years QRT. 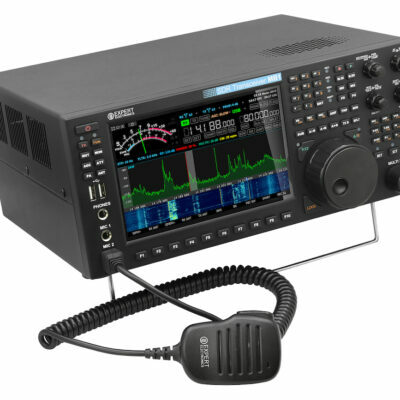 On my return, I initially bought a secondhand Elecraft K2 but soon graduated to the K Line with the K3, P3, KPA500 & KAT 500 tuner. These together with a 20 metre mast & 4-El SteppIR plus LF dipoles enabled me to chase DX, enter Contests etc. The last year or so it has become apparent that more amateurs are changing to the new range of SDR transceivers becoming available so I decided to try an SDR out. Friends were mostly changing to the “plug & play” Flex 6000s and I decided that the Anans would require more knowledge and understand of software than I am capable of, as it is under continuous development worldwide. 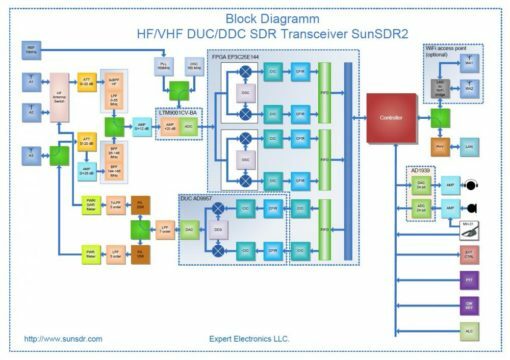 The Sun transceivers seemed the sensible middle ground choice for people like myself who wanted good performance without breaking the bank. I spoke to UK retailers about the Sun products but whilst they seemed impressed with the Sun, they tended to try to steer me towards the Flex’s which I think they were more familiar with. 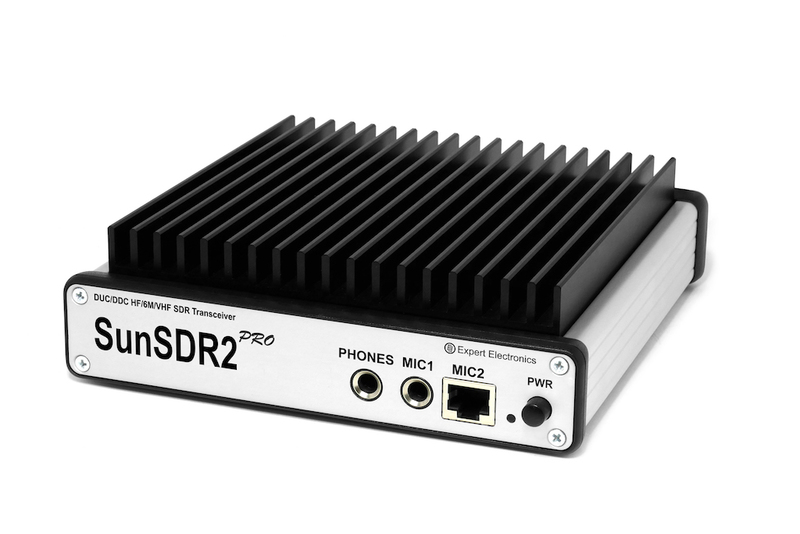 They suggested that I arrange for a comparative demonstration of the Sun SDRPRO2 alongside the Flex 6500. I rapidly realised that the SunSDR2PRO had all the contest flexibility & more, of the Flex 6300 but it had a lower power output – 15W cf 100W & “only” two receiver slices compare with four in the Flex. The lower power output did not bother me as I quite enjoy QRP working from time to time & besides I had the Elecraft amplifier available. Whilst I might want to monitor two bands at once, only rarely if ever, was I looking to monitor more that two bands. The software interface ExpertSDR2, was exceptionally clear & well designed and was more intuitive to me than that of the Flex. I also preferred the Sun spectrum display. The other main considerations were of course the price & especially the backup service that would be available. The price was a no-brainer as the Sun was just over half the price of the Flex 6500 so what about the available backup? Why Pileup as the Supplier? I contacted them corresponding with Bjorn SM0MDG, one of the two partners at Pileup. I very quickly convinced myself that buying the Sun through Bjorn would be the answer as he had both the detailed experience with the product & the willingness to assist whenever needed. He also has excellent English language skills! The service he has provided has been exceptional in “holding my hand” throughout my learning process with the SunSDR. 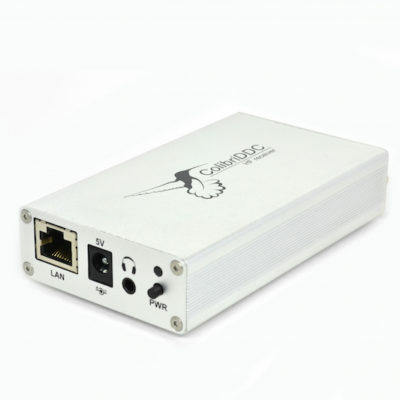 After unpacking the box I then set about connecting the SDR to my shack PC. It uses a LAN Ethernet cable for this task & as my PC only had one LAN port – normally in use to connect to the Broadband router, I first had to install a Wifi board in my PC to replace that task and free up the LAN port. The PC and the SunSDR2PRO did not connect automatically & it eventually proved necessary to put in a specific IP address in the PC which was successful in contacting to the ExpertSDR software. The problems were largely my fault as at first I had not appreciated that it was necessary for the PC and the radio to have different IP addresses and I did have to do a hardware reset after the different abortive attempts at connection. – I said already that my communication software knowledge was non-existent, but Bjorn was excellent! With this VAC software I have subsequently set up a number of other virtual audio cables VAC’s, for other tasks interfacing with the SunSDR. I used two COM ports to communicate CAT data with logging programs and two VAC’s for RX in & TX out from the ExperstSDR2 software. I occasionally use N1MM+ for contest logging including using digital modes, PSK & RTTY. Setting these up with N1MM+ & ExpertSDR2 software was a step beyond my knowledge but Vasiliy at Expert Electronics came to my rescue using TeamViewer & Skype. I usually use the SunSDR2PRO connected to my Elecraft Tuner & Amplifier, running a PTT line from the rear connector of the SDR. A few watts of drive from the SDR easily gives me 2/600 Watts at the antenna. 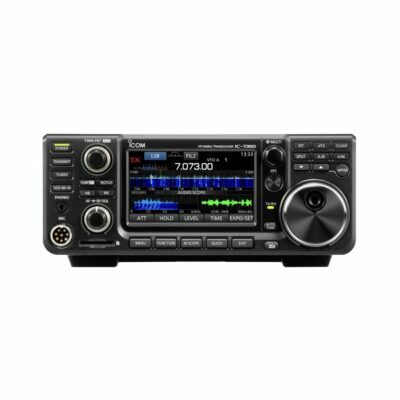 The user Manual is currently being re-written as the current version does not give a complete picture of what you can now do with this superb radio & its software. 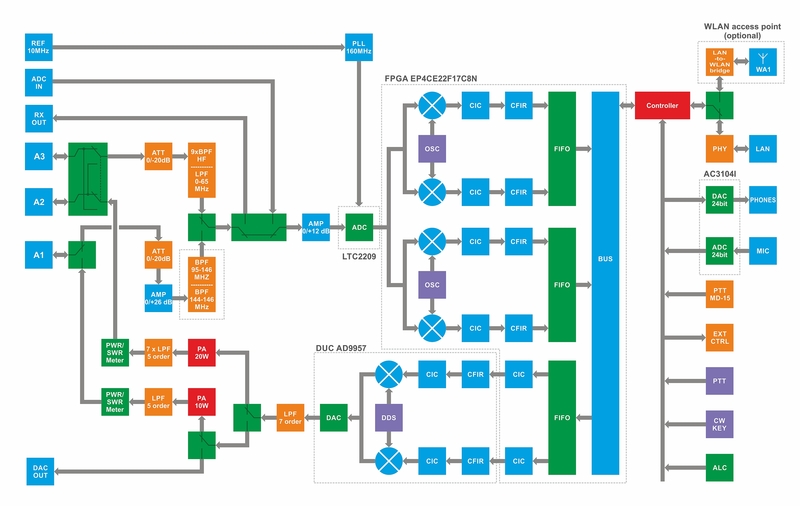 Other things in the pipeline and all likely to be available later this year include auto decoding of Data modes & CW, full duplex operation and predistortion. On air performance is already terrific, I have had a number of unsolicited comments regarding the audio & also on the CW keying. 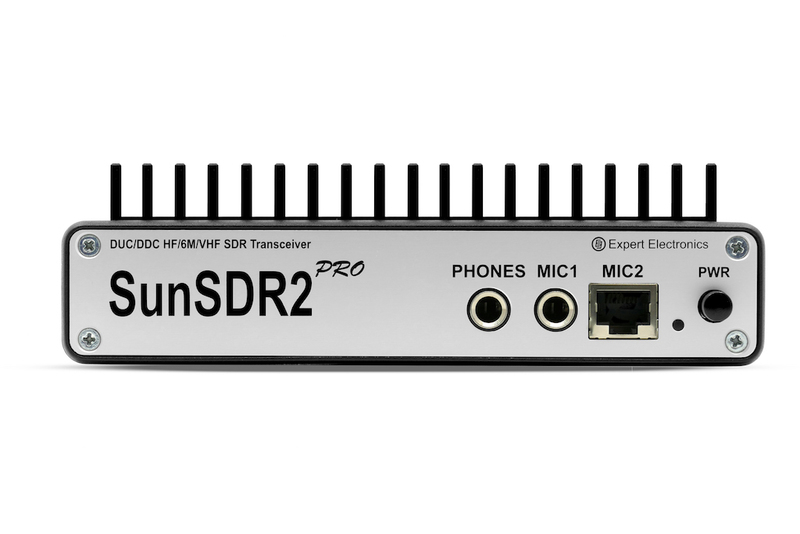 All in all the SunSDR2PRO is a great radio at a very competitive price with tremendous customer service and both software & firmware capable of being updated as and when. 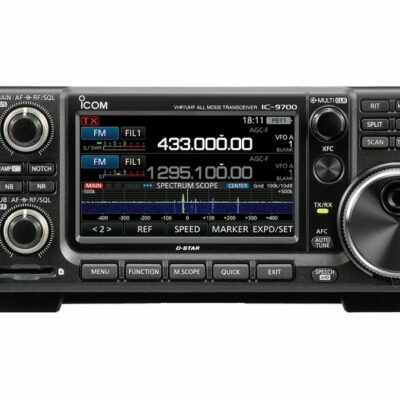 I am now very seriously considering trading in my pride & joy, the Elecraft K3 & P3 & investing in the new Expert Electronics offering, the MB1 as my next project?